What are different Types of Contract? / What are different Types of Contract? Procurement Management is considered as a difficult topic for the PMP® Exam. However, in my opinion, Procurement Management is one of the easier topics for the PMP® Exam. So, Why do PMP® Aspirants find Procurement Management difficult? I believe this is due to lack of experience in Procurement Management. Usually, PMP® Aspirants are well-experienced and knowledgeable about other aspects of Project Management. But, over the time, I have noticed that most of the PMP® Aspirants do not have relevant Procurement Management experience. They have not done procurement in their official capacity. I think practical experience is always useful for understating a PMP® Exam topic. Let us make Procurement Management Easy for the PMP® Exam. You may not have done any Procurement in your office. But as adults you would have definitely done Procurement at home. You would have certainly bought a vehicle or made arrangements for a family vacation. 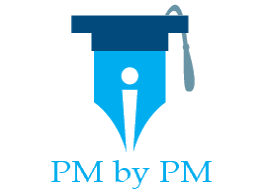 I believe understanding Procurement Management (in fact any Project Management topic) can become easy if you correlate the PMBOK® Guide concepts with your daily life. Let us understand these 3 basic Types of Contract. There are some sub-categories of basic Types of Contract also. We will not discuss the sub-categories in this article. Let us understand basic Types of Contract with the help of a small example. Note: You can refer to Max Wideman Glossary to read some standard definitions on Types of Contract. Let us also assume that we (Buyer) have called an Electrical Contractor (Seller) to lay the electricity wire. We asked the Contractor to provide us with a Quotation for re-wiring the house. So, how would the Contractor prepare a Quotation? what are the market (economic) conditions. Let us take a look at these 3 scenarios in detail. Let us assume we called a Building Architect before calling the Electrical Contractor. The Architect provided us with complete Electrical Layout & Design. The Architect also gave us Material Specifications of the Wiring to be used. In brief we finalized everything before the Contractor walked in. We prepared a detailed Statement of Work for the Contractor. The contractor would study the detailed Statement of Work (finalized designs and material specifications) to provide a Fixed Cost Estimate. HR Cost – The contractor would look at the whole house and architectural design to estimate how many Labor units (duration & effort) would be required to complete the work. Material Cost – The contractor would survey the house and study the Electrical Layout & Design to make an approximation of how much Wire (quantity of wire) would be required. Based on above two estimates, the Contractor can estimate Cost of Labor and Cost of Wire. The Contractor would total these Estimates and add some profit to provide us with a Fixed Price Quotation. This Quotation (once finalized and accepted by us) would become part of the Contract. We will have to pay a Fixed Price to the Contractor for completing the work. Even if the Contractor overruns his estimates, we would not be liable to pay anything extra. In FP Contracts Scope is well defined and Price is Fixed. FP Contracts could run into losses for the Seller if the costs are not managed well. FP Contracts are more risky for Sellers. This scenario would come if Electrical layout & design was not available with us. We will not be able to provide a detailed Statement of Work to the Contractor. The Contractor would have to prepare the Quotation without a detailed Statement of Work. HR Cost – Since the Electrical Layout & Design are not available, the Contractor would not be able to estimate how much Labor units (duration & effort) would be required to complete the work. The Contractor can, however, estimate the Labor Rate per Day (or any other unit of time e.g. hour or week). Material Cost – Again the Contractor would not be able to estimate the quantity of wire that would be required to complete the work. The Contractor can, however, estimate the Rate per Meter (or any other unit of quantity e.g. Kg) for different types of wires required. The contractor would add a suitable margin to estimated Labor Rate & Wire Rate for re-wiring the house. The Contractor would provide top-up Rates to us as a Rate Quotation. These Rates (once finalized and accepted by us) would become part the Contract. These Rates will remain Fixed for the duration of the Contract. We will have to pay the Fixed Rate to the Contractor for completing the work. The actual quantity of Labor and Material consumed will be used for making final payments. In T&M Contracts Quantity is not defined and Rate is Fixed. In T&M Contracts both Buyer and Seller can overrun their estimated Cost targets. T&M Contracts are risky for both Buyers and Sellers. This scenario is similar to Scenario II above. This scenario would come if Electrical layout & design was not available with us. We will not be able to provide a detailed Statement of Work to the Contractor. The Contractor would have to prepare the Quotation without a detailed Statement of Work. In addition, let us assume that Market (Economic) Conditions are constantly changing. There is a constant fluctuation of Labor Rates and Wire Rates in the market. In these conditions, the Contractor cannot reasonably estimate a Fixed Rates. In this Scenario, the Contractor would propose (since Labor Rate & wire Rate cannot be fairly estimated) that the Actual Costs incurred by her/him should be Reimbursed. In addition, the Contractor, would ask for a Suitable Fee for the services that she/he would render to complete the work. This proposal (once finalized and accepted by us) would become part the Contract. Neither the Rates nor the Quantity would be Fixed for the duration of the Contract. A Service Level Agreement, however, can be defined as part of the Contract. We will have to Reimburse all legitimate Costs and give a Suitable (Agreed upon) Fee to the Contractor. In CP Contracts neither the Rate nor the Quantity is defined. CP Contracts could be a huge overhead for the Buyer if costs are not managed well. CP Contracts are more risky for Buyers. Who has more Risk in different Types of Contract? You should read my other article on that provides a formal explanation of different Types of Contract. It will help you in the PMP® Exam preparation. Please leave a comment if you have any specific question. Good Read, to the point which make contract type very clear.